There is a great deal of talk at the moment about buying on eBay but in my experience I’ve found there is substantially less information related to the actual subject of selling online. Having recently been dragged around several car boot sales it’s come to my attention that there are people literally giving away potentially valuable items at these sales which they could shift faster, easier and for a greater price online.There is no greater way of highlighting this fact than when you consider there are now people starting businesses literally buying items from car boot sales and selling them online.This week I’m going to explain how to cut out the middle man to obtain the most money for your unwanted items. 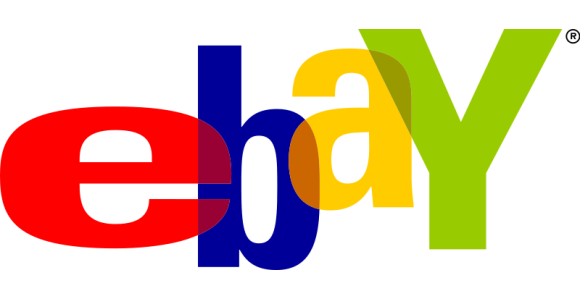 I’ve found the best way to get in to eBay is to start of slowly; due to a ratings system you’ll find people unwilling to deal with you if you haven’t been signed up as a seller for long or have little positive feedback.Whilst new users may find that their items still sell it may be at a much lower value than similar items listed by more trusted sellers so start by listing just one or two items a week to build up the trust between you and the eBay community.Of course, feedback also works in your favour as you can easily identify less reliable buyers – many sellers even specify that you can’t bid on an auction unless your feedback is above a certain level. Listing your site is easy, just sign up for a free eBay account and then simply click on the ‘sell item’ link, enter the details of your listing including postage details, a reserve price (if appropriate) then upload a picture and click submit.Your item will then instantly become live on eBay for any one of the millions of active members will be able to find it. The cost of listing an item is relatively cheap; you simply pay a basic listing fee (typically 15p or so) plus any fees for upgrading your listing and a percentage of the items final sale price.The usual time for an auction to last is 7 days but this can be adjusted at the sellers discretion and additionally you can choose to allow a buyer to instantly end the auction if he agrees to meet a ‘buy it now’ price that you set initially. As a seller you will probably want to set up a PayPal account as this allows your buyers to immediately pay you by credit/debit card rather than having to worry about writing out cheques, sending cash or doing a bank transfer.PayPal takes a small percentage of the transaction value and you are then free to withdraw the money straight in to your nominated bank account. Another tip is not to limit your online sales to low priced items; eBay can be used as a viable method for selling many mid and high priced items which would usually be sold at an auction house as well as luxuries such as your car which would usually have to be advertised by a more expensive, conventional method. You’d be surprised how much more you can get for items once you start selling them on eBay – due to the worldwide appeal of the site you have a much higher audience than simply selling your items at the local car boot. So check out www.ebay.co.uk and get yourself signed up but just don’t get distracted and start looking up items that you recently gave away or sold for pennies – I made this mistake some years back and found an old computer similar to one I’d simply thrown out which went on to sell for several hundred pounds online!